It’s a great question and one we’ll attempt to answer with a few logistical things we’ve picked up that makes doing the two and three-hour runs much more enjoyable – and beneficial. 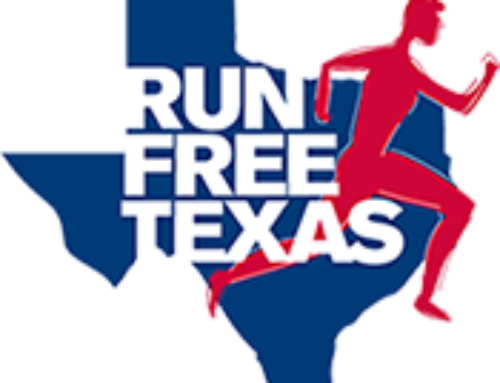 If you’re even thinking about running an upcoming Texas marathon such as Austin, Cowtown (Ft. Worth), San Antonio, Dallas, College Station, Army (Killeen) or Houston, long runs are not negotiable. It’s as simple as that. Bail on them and you might as well bail on the marathon. Tackling a marathon is about tackling all the challenges and long runs can certainly be challenging. For veteran marathoners, the weekly long run isn’t so much drudgery as it is a highlight of the week. Many see it as a great opportunity to spend quality time with running friends for two or three hours. But these vets have learned all the logistics and tricks of making long runs palatable and satisfying, rather than an agonizing chore. Go early. Long runs should be done early in the morning. The air is cleaner (and cooler) and there isn’t nearly as much traffic. Also, since every marathon starts in the morning, it’s a good idea to practice getting up early and running hard and long. Long run with friends and/or training partners. A solo long run can be tortuous. But if you can liven the time spent running with fascinating debates and discussions, the miles will pass quicker. In addition, running with other people, makes the running easier as you can take turns blocking the wind. Running with other people on long runs is also safer. If, for some reason, you have to quit, someone can run ahead and drive back to rescue you. Don’t overdress. In Texas, even chilly, fall mornings warm up quickly with the sun. Wearing too many layers of clothing will weigh you down and once you heat up, you’ll be miserable. You generate so much body heat that unless it’s below freezing, don’t wear tights or a jacket. If you feel perfectly comfortable at the start of a chilly long run, you’re probably overdressed. If it’s cold (say, colder than 45 degrees), a long-sleeve shirt, hat, shorts and lightweight gloves will usually suffice. When in doubt, wear as little as possible. Segment your long run. Break it up into less intimidating, manageable chunks. Instead of thinking you have to run 20 miles, envision it as four runs of five miles. After each five-mile segments, reward yourself with a little treat. Have some cold Gatorade or Nuun as your reward–or whatever works for you. Bring money and/or carry drinks. If you don’t want to carry fluids and your training group doesn’t provide them, bring a few dollars so you can purchase drinks along the way at convenience stores. Fortunately, most Austin and San Antonio training groups cache water and electrolytes along the long-run route. (On Saturday mornings, you’ll see water coolers scattered all over town on the most popular long-run routes.) But even if it’s chilly, you’ll need to drink at least every 30 minutes. Take walk breaks. We’ve covered this in other long-run articles, but walk breaks are a key for newbies doing long runs. For every 30 minutes of running, walk five. Or any combination. This will break up the monotony, reduce the pounding on your legs and make the long run easier. The walk breaks will also give you something to look forward to. If you aren’t a newbie, give yourself a short break by walking into a water stop and walking away afterward. Utilize different long-run routes. Rather than running a long run on the same loop or route you use during the week, try to locate a different course for your weekend long one. It will give you something different to look at as well as vary the terrain. The nicer the locale is, the more you’ll look forward to the long run. All training groups handle this for their marathoners-in-training by coming up with a variety of long-run courses. Determine your marathon goal pace (MGP) and do parts of each long run at that pace. 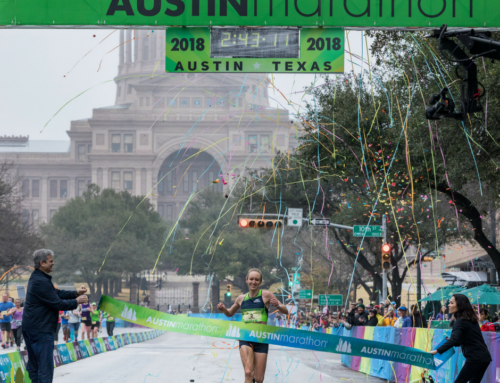 It is important to figure out at some point your marathon goal pace (i.e., the miles per hour pace you will attempt to average in the marathon). Once you know what that pace is, do parts of some of your long runs at MGP which will be faster than the average pace of your long run. Eventually, you should be able to do at least a 12-15 mile long run at MGP. This will probably come in the last four weeks of your training cycle when you are at your fittest. But you can practice MGP in every long run with a few miles either in the middle miles or the final chunk. Visualize the marathon you’ll be doing. 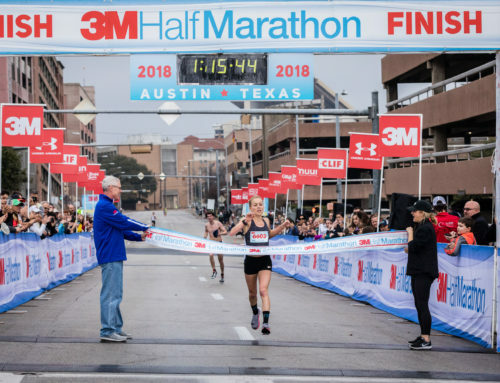 Since a long run is a dress rehearsal for the marathon, try to imagine how you’ll feel in the marathon during various points of your long runs. Note what your body and mind feel like after two hours of running. Try to equate certain mile markers (or time) of your long run with how you’ll feel at certain points of whichever marathon you’re doing. In the marathon, you’ll probably be going a little faster, but you will also be better prepared and rested. Run easy. The long run is just like the marathon. It isn’t a speed contest; it’s an endurance event. Don’t rush through long runs and try to run each one faster and faster. The trick on long runs is to pace yourself properly so you can complete the distance without making the last few miles into a death march. So hold back in the early miles. Especially in the first few miles, the pace should be very easy and conversational. If you feel good after 90-120 minutes, you can pick up the pace but remember the goal is to complete the distance. Your time doesn’t matter as much as time spent on your feet and completion of the distance.